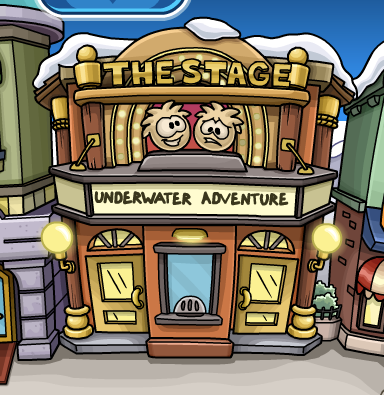 The Club Penguin Underwater Adventure has once again returned to the Stage! Yep, same ol' pin from last time this play was at the Stage! You now have a the Mermaid Shell Pin! 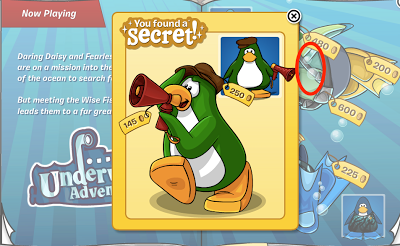 Click the Green Scuba Diver to the the Director cheats! 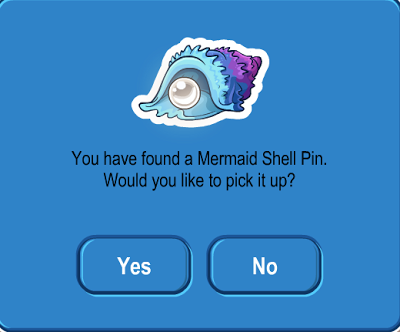 Why did they have to return this pin? Can't CP be any less original right now? No secrets for Penguin Style, same backgrounds and now this? 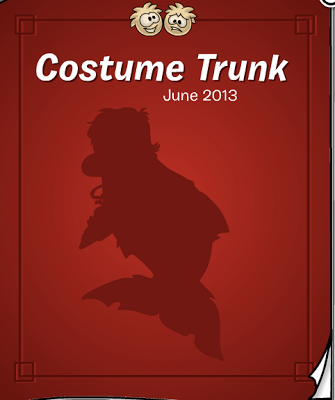 What's next, returning same items for this party? So does that mean I'm a CPG Mod?? Can you post, really cool stuff that NON members can do? It would be an awesome article! can you do an article about cool stuff non members can do? I really want to become a member but my parents wont let me pay for it! 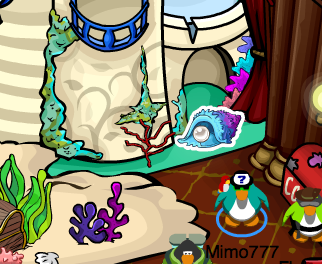 Also I sent you a friend request on CP I am coco4loco. Thx really appreciate it!